The entrainment of your brain waves is the main objective of this music. We need to change the frequencies we are hearing to reset our thought patterns hence changing your overall attitude. 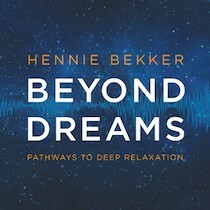 It does work and I think what Hennie Bekker has presented here is a gift of music and an opportunity for healing and renewal. There is a lot of music I hear that serves this purpose but the difference here is the scientific aspect and the thought and care that went into how exactly this music will affect you.